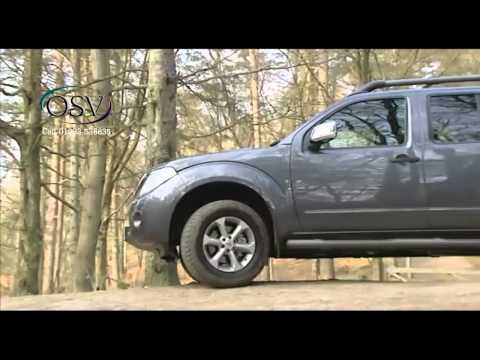 Welcome to another OSV car review. Today we’re reviewing this, the brand new Toyota C-HR. While the Toyota C-HR is an aesthetically pleasing piece of kit with coupe concept car styling, is it any good? Well, yes and no. We’re in Spain for this international launch. I’ve got to say the steering on this C-HR is very light. It weights up pleasantly too, so you feel confident around lots of twisty bits of tarmac. There’s no diesel option. Instead, there’s a hybrid model. There’s also a pleasing, willing 1.2 liter petrol C-HR. This car’s not quite as big as the new Nissan Qashqai, certainly not in the rear. But up front it’s fine. It’s certainly good for a family with a 370, or thereabouts, liter boot. Quite space age looks. I think you’ll agree with me there, when I say that. I like it, but beauty is in the eye of the beholder. This is not the car to go for though if you are after a fun drive. On the move, the C-HR gives a planted and settled ride. This comes as no surprise because the car uses the same Toyota New Global Architecture as the latest Prius. This keeps the car low slung and it means the C-HR stays flat in corners. Well, it’s not often I have the privilege of being driven. So I thought I’d take the opportunity to sit in the back seat of this Toyota C-HR. I’ve gotta say, it is really comfortable. We’re driving at quite a lick at the moment around some of the windy Spanish roads just outside of Madrid. I’m comfortable looking around at these plastics on the rear door here. You can probably hear they’re quite scratchy. The same goes for the plastics down here. There’s a very useful cup holder in the rear. Electric window switch just there and all very functional but, yeah, you can’t but help but feel that’s a little bit cheap. All the major switch gear is contained on a large entertainment screen which, if you’re a tablet user, is intuitive to use. The leather steering wheel feels good to grip too and it houses controls that quickly access functions such as volume and driving data. The C-HR’s driving position is comfortable and visibility is good. It’s also spacious up front and has respectable room for two adults in the back. However, the rakish roof line does mean that being over six foot tall will cause you to slouch slightly in the rear. Well, here you go. You’ve got a hold and you’ve got another flight case/hold over there. I reckon you can get another one, two…I reckon you could get five in there like that. Or if you have a toddler, imagine folding a little buggy and fitting quite easily into this boot and then perhaps putting your supermarket shopping next door to it. So, the boot is actually very good. You’ve also got the choice of having tire sealants. As you can see in here, you’ve got tire sealants which…if you have a puncture you just put all that in there. Obviously, you could if you wanted, have a spare wheel in there as well, but obviously that will take up far more room. So this just makes the boot a little bit more spacious. There are three levels of trim available: Icon, Excel and Dynamic. Prices start at £20,995 for the basic 1.2 C-HR and increase all the way to £27,995 for the Hybrid Dynamic.